Since the release of Autodesk’s 2012 product suites in April, Buildipedia’s BIM series (see Contractors Look to BIM to Streamline Construction and BIM: Bridging the Gap Between AEC and O&M) has been highlighting changes and upgrades to the software systems. Each year, Autodesk's line of products forges into new territory, and one of its most recent areas of development has been 3D modeling for infrastructure. Applying the same principles currently used in BIM on the scale of individual buildings, BIM for infrastructure expands that 3D vision outward, taking it to a new level – literally. This is not only a conceptually logical next step: it aligns with one of the United States’ most significant current building challenges. The condition of America’s aging bridges has been in the spotlight since the 2007 collapse of a bridge in Minneapolis, which killed 13 people and injured many more. Federal Highway Administration data released in 2010 estimated that 150,000 (or 25%) of the nation’s bridges were "structurally deficient." The American Society of Civil Engineers released a set of comprehensive report cards on infrastructure in 2009: bridges earned a C and roads earned a D–. Obtaining funding for infrastructural repairs is certainly the primary obstacle when it comes to making the needed improvements. Finding a way to efficiently use the funds that do become available is another part of the challenge, however, and streamlining planning and work processes may be part of the solution. 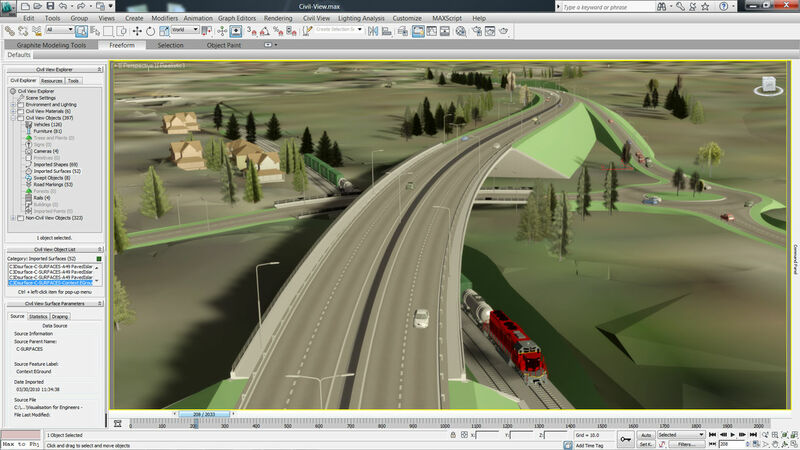 Many of the gains made by Autodesk software developers over the past year have focused on road and highway design and on making Civil 3D and companion software solutions more agile and intelligent. Marketplace demands for these solutions are already present in some areas, from China and Australia to the United Kingdom, where BIM has been used in large-scale infrastructure projects. 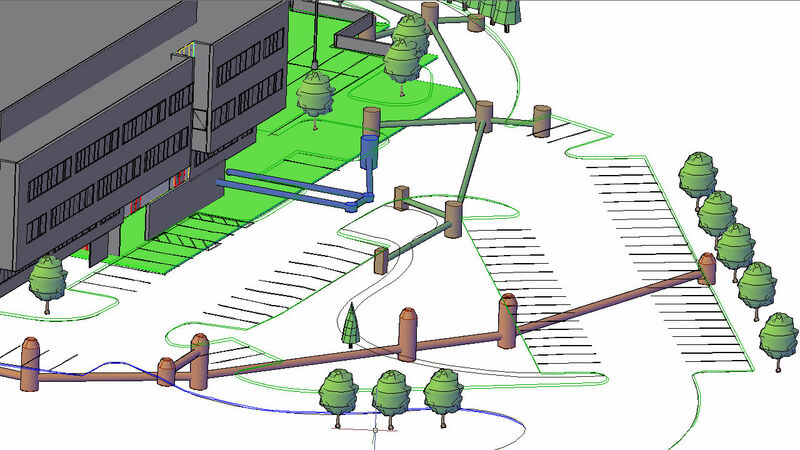 3D modeling is useful for every stage of building, from planning through lifecycle management. 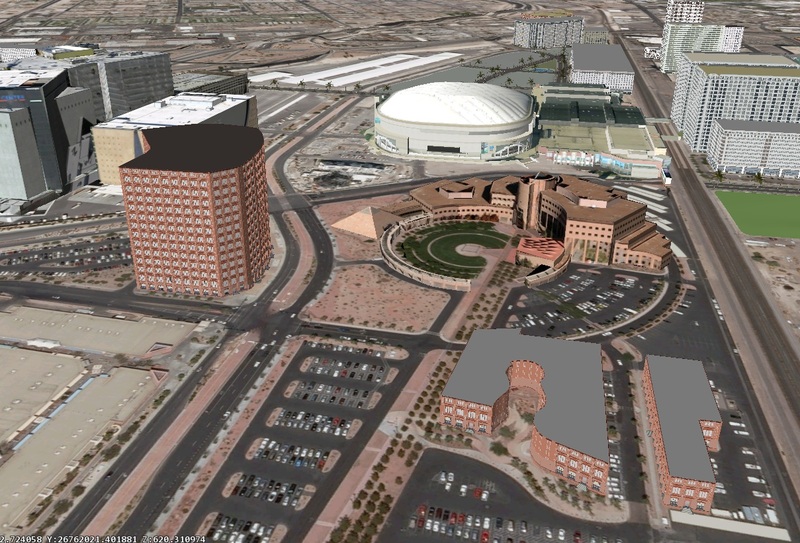 Using Map 3D and Topobase software, various types of data can be collected and integrated in layers, including X,Y, and Z coordinates, geographic information system (GIS) data, parcel boundaries, and aerial photographs. 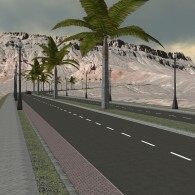 Existing roads and buildings, as well as utilities, can be put into the model. As the model is constructed, detailed analyses can be performed. Importantly, “analysis occurs concurrent with design, not post-design,” says Paul McRoberts, VP of Autodesk’s Infrastructure Product Line Group. Furthermore, data and relationships can be projected into the future. BIM is also helpful for communicating with the public. American Structurepoint, Inc., a multi-disciplinary consulting firm based in Indianapolis, has found that BIM is useful not only for planning and design, but for client relations as well. For the firm’s Keystone Parkway project, located in Carmel, Indiana, the firm was called upon to design a four-lane expressway on one of the most heavily traveled corridors in the city, with grade-separated roundabout interchanges at six existing intersections. Says Jack Lashenik, P.E. and Vice President of American Structurepoint’s Civil Engineering Group, “Building traditional roundabouts would have cut into the surrounding properties too much. The real estate along that road is very expensive. So we started exploring a teardrop elevated layout.” This unfamiliar configuration was not readily embraced by the community, however. “We had to show the mayor and residents a convincing picture,” says Lashenik. 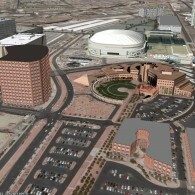 To do so, the engineers used BIM to model and animate the concept. 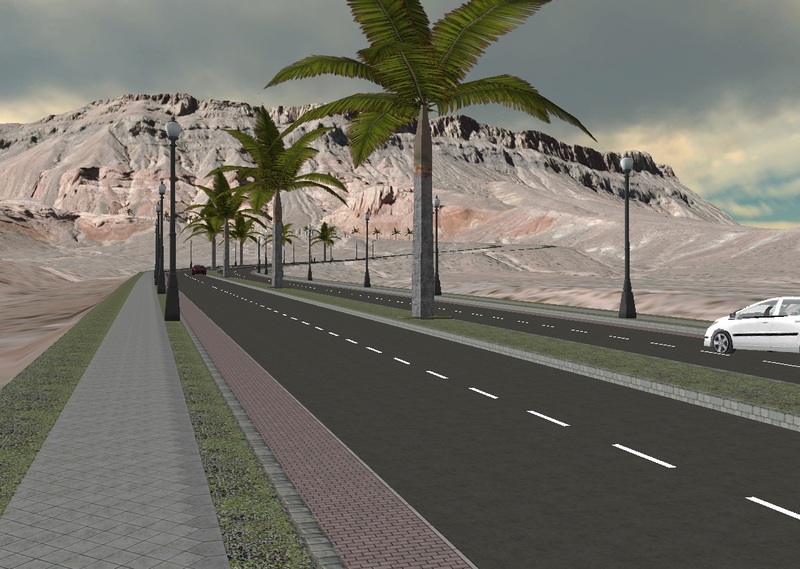 Once residents were able to virtually "drive" the new roundabout, the project gained support. In its completed, real-world form, the teardrop-shaped roundabout not only saved existing buildings and real estate but reduced commuting time from 40-45 minutes to about 5 or 10 minutes. As Lashenik points out, this has the added benefit of reducing carbon emissions; overall, the solution proved so effective that INDOT is considering the teardrop configuration for some of its other projects. Infrastructure is not limited to roads and highways. Water systems, including water supply and sewer lines, are complicated to install and maintain. Water systems are responsible for numerous difficulties in the western United States and in many nations worldwide. 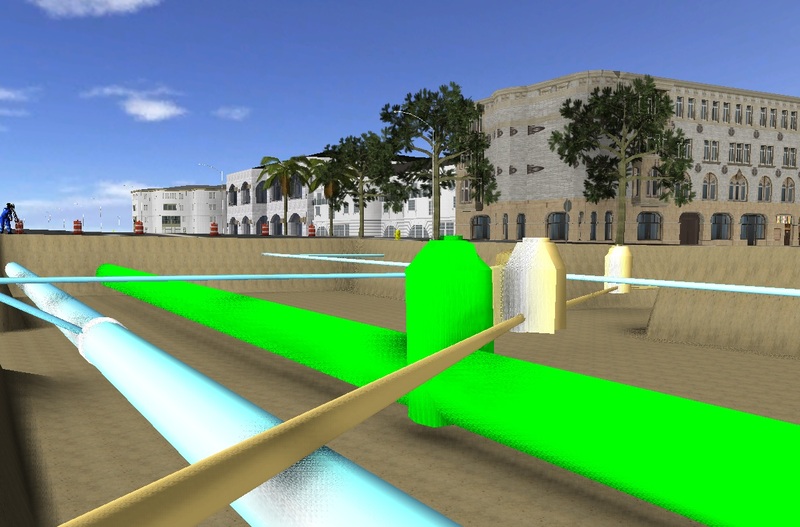 Infrastructure modeling has also expanded to include relationships between utilities and facilities; for example, electric utility lines can connect to a virtual hydroplant. 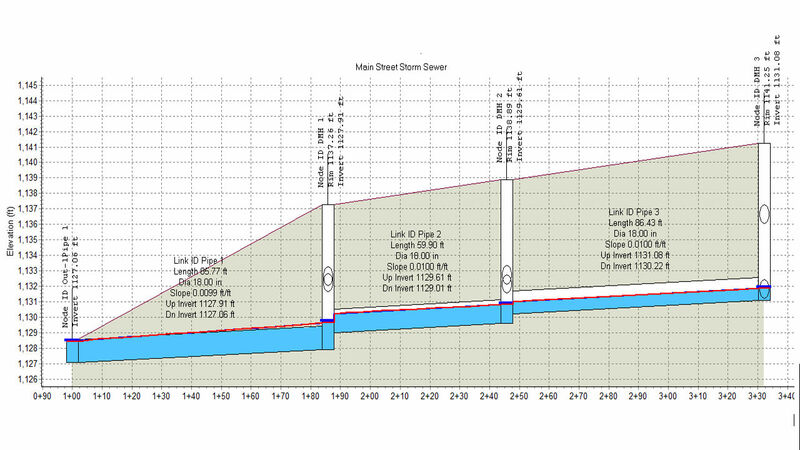 A greater capacity for detailed utilities modeling is in the works. The most comprehensive effort at integrating infrastructure data into a workable model is Project Galileo. Still in the Autodesk labs, Project Galileo is intended to allow for the creation of a complete context model, provide tools for sketching out conceptual designs, and then create presentation-quality simulation videos. As with existing roadways, existing utilities infrastructure cannot adequately support the myriad of 21st century demands. "Virtual" technologies make the rate of change in our lives ever faster, and therefore the physical world must be responsive in making faster changes as well. By employing the visualization, communication, and information storage capacity of 3D modeling, perhaps we will soon be able to see a more dexterous process for change in the world around us.